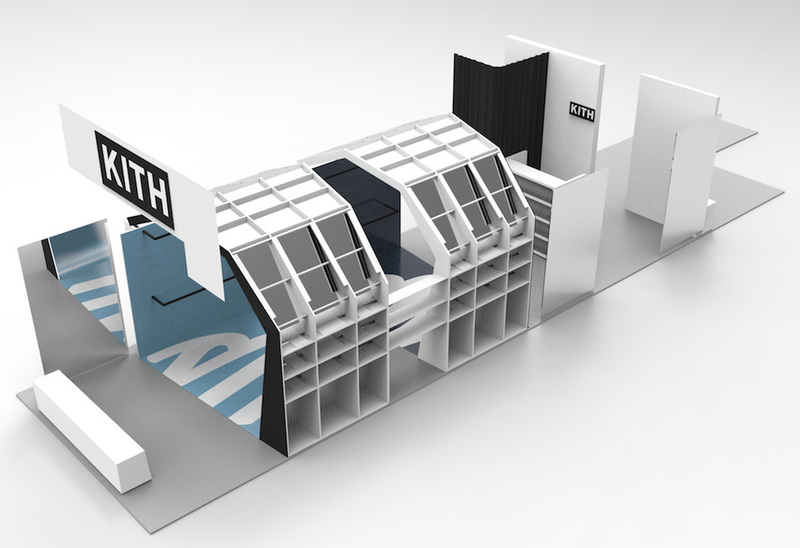 "Shootin' the curl" with KITH and this epic pop-up store. "Picture a cross between the Michael/Janet Jackson "Scream" video and the sickest sneaker closet in the galaxy." When asked by Bang3 to collaborate with Ronnie Fieg, the King of Streetwear and owner of KITH, we were blown out of the water and extremely stoked. We helped the design firm render out, fabricate, and install a pop-up store on Abbot Kinney in Venice Beach, arguably one of Los Angeles' most stylish blocks. The temporary retail space embodied KITH’s Atlantic and Pacific Ocean themes, enveloping the space in two futuristic, high-tech waves. The barrel of the waves housed the merchandise enthroned before sheets of reflective planes. As you carve through the epic tubes, your experience is defined by the surrounding color, Atlantic – navy blue, and Pacific – light blue. Our integrated lighting display brought the space to life and illuminated a multitude of graphic arrangements from the floor, to the walls and windows. Although the retail space was only available for a month, KITH completely sold out of their showcased line of Asics shoes, and got an exclusive write up in GQ to boot – Gnarly!